When Alexander Hawkins played in wonderful concert with Louis Moholo, it was often the drummer, who upped the ante, leading the pianist onto a higher plane, raising the intensity and the depth of emotion; throwing down a challenging the pianist to follow, a challenge the pianist was quick to follow. 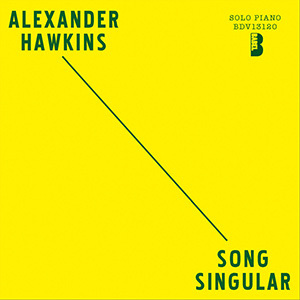 On his solo project Song Singular, Mr. Hawkins and his piano are propelled into deep space and the pianist alone decides what is to follow. Mr. Hawkins is usually calm when he sits at the piano, but the piano is an unusual and grand instrument and a virtuoso pianist such as Alexander Hawkins is capable of manipulating it in many more ways that it might seem humanly possible. Working from the premise that you “treat it well and it will respond to you,” Mr. Hamilton both caresses his instrument and cajoles it; he treats it as if he would his lover and it responds as if it were his lover too. His touch is complex and it is informed by superior dynamics. Even in the depths of time and space he is therefore able to sound as if one instrument is thus symphonic. Another interesting aspect of the music is that it combines the familiar chromatics with the elongated lines that are so characteristic of the inventiveness of music that comes from the unbridled ingenuity of the musician. In “Joists, Distilled” there is the nagging awareness of music that comes from standards and classic repertoire, but this falls away as soon as things seem to get comfortable. Of course, “Take the A Train” is easier to relate to, but then again this music is also loosened by the pianist and is dropped like a gantry swinging free into an ocean of sound so vast that only a distant and muffled version of Duke Ellington’s original song remains. And suddenly the song is no longer about the clickity-clack of the A Train, but of a spaceship falling delightfully away after ridding itself of its restrictive anchor. The sound of surprise? Perhaps even the Duke would have had to acknowledge that few could have put it better and yet keep it in song. This album has much more to say for itself all of which is meaningful, majestic and utterly memorable. Track List:The Way We Dance It Here; Early Then M.A. ; Joists, Distilled; Stillness from 34,000 ft.; Two Dormant, One Active; Hope Step the Lava Flow; Take the A Train; Distances Between Points; Advice; Unknown Baobabs (Seen in the Distance). Alexander Hawkins is a composer, pianist, organist, and bandleader who is ‘unlike anything else in modern creative music’ (Ni Kantu) and whose recent work has reached a ‘dazzling new apex’ (Downbeat). Self-taught, he works in a vast array of creative contexts. His own highly distinctive soundworld is forged through the search to reconcile both his love of free improvisation and profound fascination with composition and structure. In 2012, was chosen as a member of the first edition of the London Symphony Orchestra’s ‘Soundhub’ scheme for young composers. He also received a major BBC commission in late 2012 for a fifty minute composition: One Tree Found was first performed in February 2013, and first broadcast in March 2013; and subsequently performed and rerecorded for the WDR in Germany in early 2014. Of the work, The Arts Desk wrote that ‘it’s difficult to think of an experimental, contemporary piece more suffused with the ecstasy of musical revelation.’ He was also commissioned as part of the celebrations for the 21st edition of the London Jazz Festival. His writing for his own regular groups has been said to represent ‘a fundamental reassertion of composition within improvised music’ (Point of Departure). Hawkins main vehicles as leader or co-leader are his Ensemble, The Convergence Quartet, and Decoy. One review of the Ensemble’s debut record, No Now Is So (FMR Records), wrote of ‘such absolute joy and strength…an incredible record’ (Clifford Allen, Bagatellen). The album featured heavily in top ten albums of 2009 lists on both sides of the Atlantic. The group’s second album, all there, ever out, has been said to mark them out as one of the ‘most vividly distinctive [groups] in modern jazz’ (The Jazzmann). Step Wide, Step Deep, released in late 2013, represents the latest chapter in the group’s development. The Convergence Quartet features American Taylor Ho Bynum, Canadian Harris Eisenstadt, and Dominic Lash from the UK. Their three albums – Live in Oxford (FMR Records, 2007), Song/Dance (Clean Feed, 2010), and Slow and Steady (NoBusiness, 2013) – have all been enthusiastically reviewed throughout the UK, Europe, and North America, evincing ‘a sustained sense of open-mouthed surprise’ (BBC Music). An in-demand sideman, Hawkins continues to be heard with vast array of contemporary leaders, such as Evan Parker, Joe McPhee, Marshall Allen, and Mulatu Astatke. He has also been noted in recent years for his performances in the bands of legendary South African drummer, Louis Moholo-Moholo. A duo album, Keep Your Heart Straight, was released on the Ogun label in October 2012, and has been called ‘a classic in waiting’ (John Eyles). Concert appearances have taken him to club, concert and festival stages worldwide. His music has been broadcast extensively on BBC Radio, as well as in Europe and beyond. 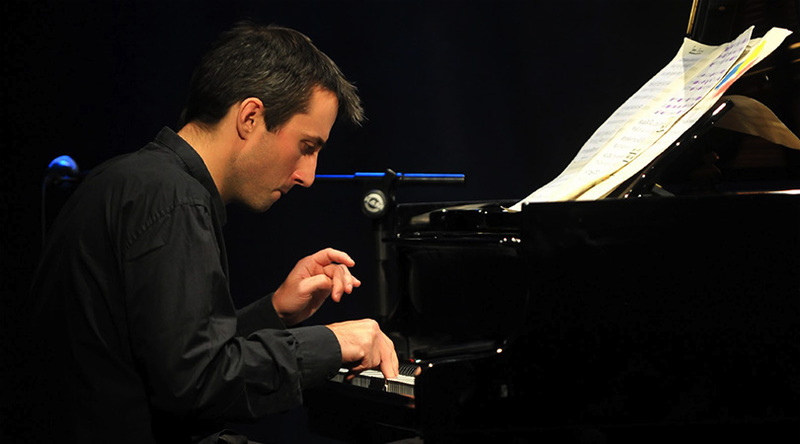 National Public Radio in the United States featured him in a 2010 ‘5 Young British Jazz Artists to Watch’ piece, whilst he also appeared on France Musique as one of five artists representing ‘la nouvelle vague du jazz anglais.’ He also appears regularly both as a specialist interviewer and interviewee for the BBC.